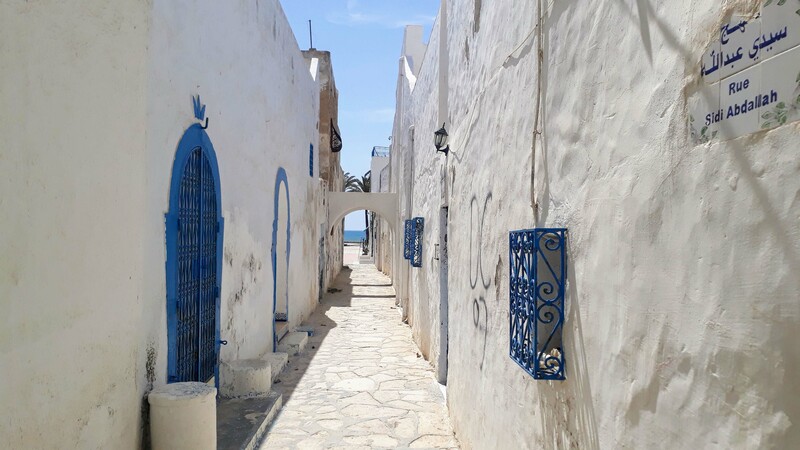 As the most visited region in the country, Hammamet is considered one of the most important tourist destinations in Tunisia. Thanks to miles of sandy beaches and a wide range of water sports, it has become a popular holiday spot. Therefore, depending on the season, the reported population varies from 100,000 to 400,000. The area is also known for Jasmin, who is also the eponym of the resort Yasmine Hammamet. In 2004, a necropolis of the Roman settlement Pupput, on whose territory today’s Hammamet is located, was discovered. After a fortress was founded in the 13th century, a city emerged there in the 15th century, called Mahomette by the Europeans. It served as the base of the Corsairs and was repeatedly attacked by the Spaniards. The fishing village, at that time unknown in Europe, was discovered at the beginning of the 20th century by artists and intellectuals such as Paul Klee, August Macke, Gustave Flaubert, Guy de Maupassant, André Gide and Oscar Wilde. As a result, it has become a destination appreciated by international tourists. 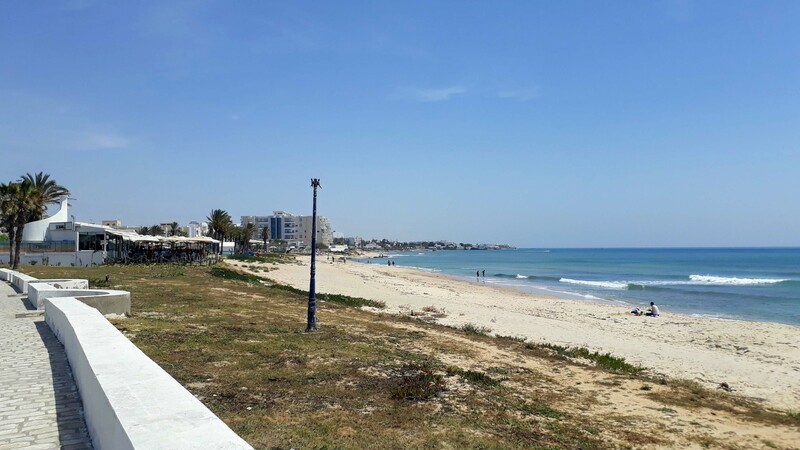 Especially since the 1960s, tourism has become increasingly important, making Hammamet and its surroundings the largest seaside resort in Tunisia. 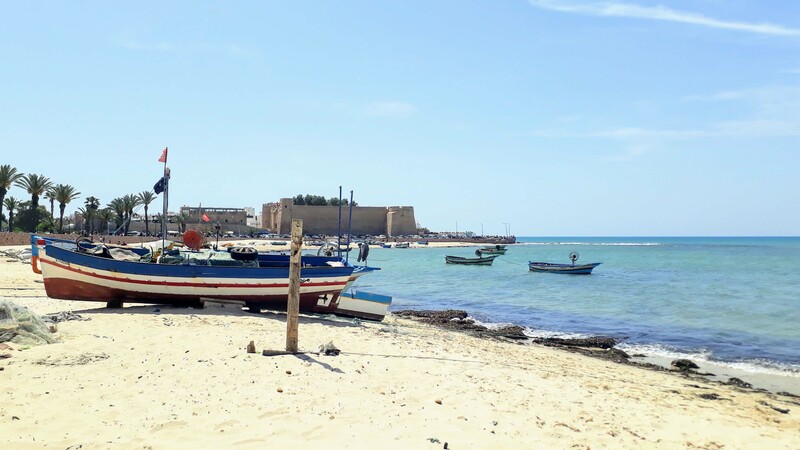 The only 200 by 200 meters large Medina of Hammamet is located on the tip of the peninsula and is completely walled. The Kasbah (fortress) is located in the northwest of the historic old town. The Great Mosque dates back to the 15th century, the Sidi Gailani Mosque was built in 1798. The souks (Arabian markets) between the main gate to the medina and the Kasbah are completely specialized in souvenir trade. The modern center of Hammamet north of the medina starts from Place des Martyrs. Here you’ll find a monument, which is modeled after the Eiffel Tower and should commemorate the “martyrs” of the Tunisian War of Independence. In addition, the two main streets Avenue Habib Bourguiba and Avenue de la République meet here. Hammamet’s new town has many hotels, cafés, restaurants and shops. The former villa of the Romanian millionaire George Sebastian about 4 kilometers south of the center is now a cultural center. An international festival with theatrical, musical and folklore performances takes place here in summer. The tourist zones north and south of the city center have miles of beaches. 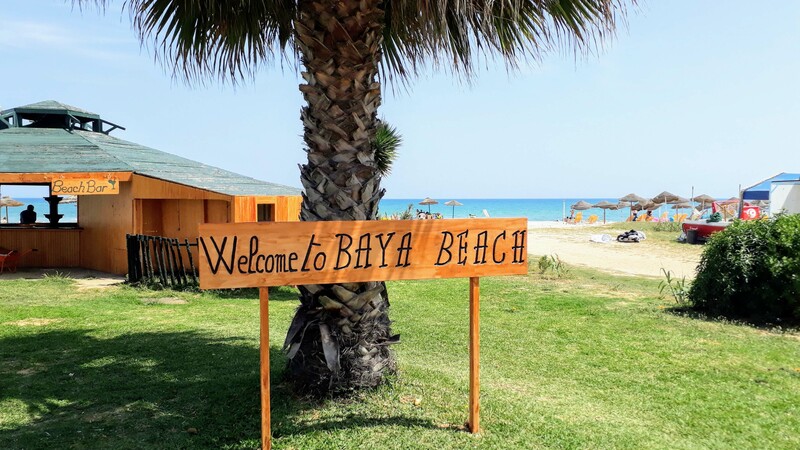 The northern Zone Touristique Hammamet Nord is smaller than the southern hotel area, which stretches over 20 kilometers to the newly built tourist center Yasmine Hammamet. What began as a planned city in 1990 is today a tourist center. On 277 hectares there are 44 hotels or 19,000 beds, supplemented by private accommodation and holiday apartments. 80 percent of hotels have at least 4 stars. 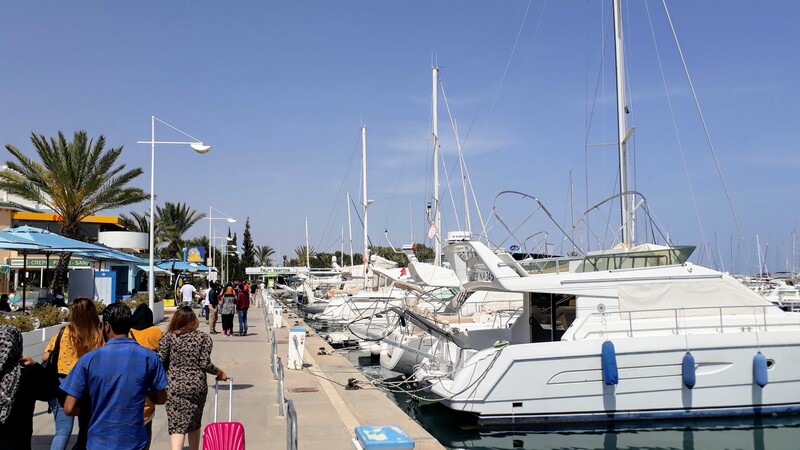 Tourist attractions include the 4 kilometer long sandy beach, a marina with 740 berths, a convention center, a casino, an ice rink and the theme park Carthageland. 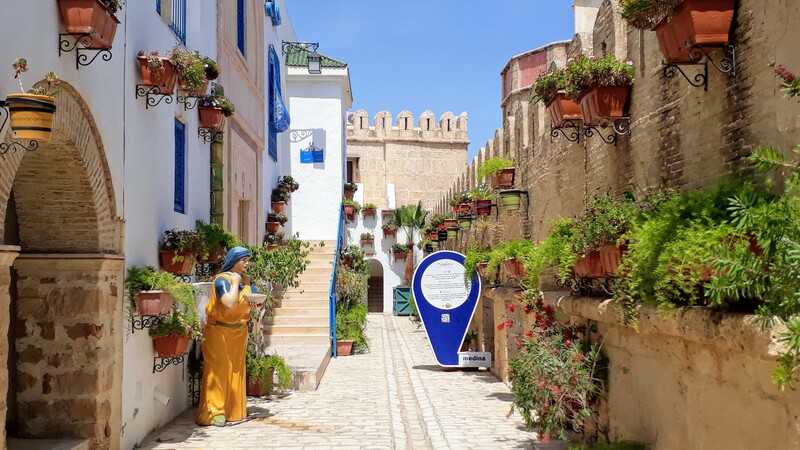 Since 2003, just south the theme park borders the Medina Mediterranea: An artificially created “Old Town” in the style of an ancient Arabian city center. 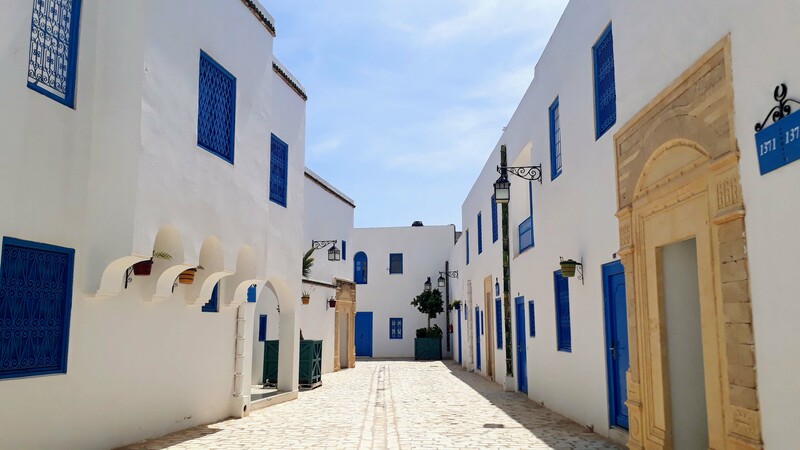 Surrounded by a seemingly mediaeval wall, the medina features a souk, as well as numerous elements from other Tunisian cities such as Sidi Bou Saïd. This makes it a bit like going through “Tunisia in small”. 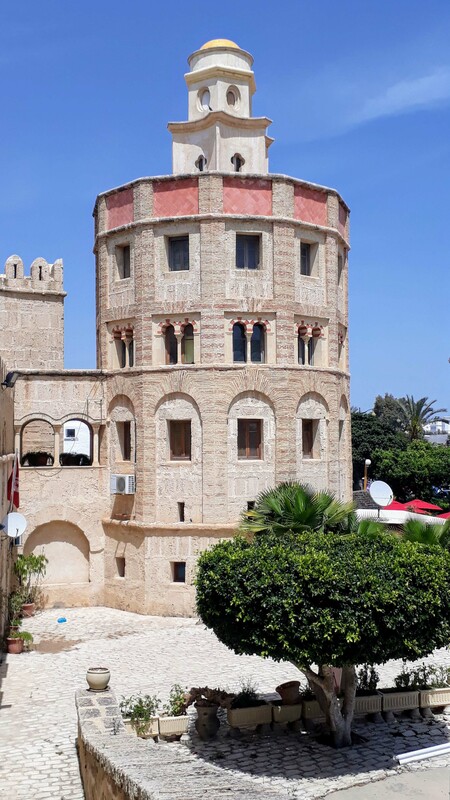 Thanks to the Hotel Diar Lemdina, you can even stay overnight in the Medina Mediterranea: 170 apartments spread over three residential complexes within the Medina. 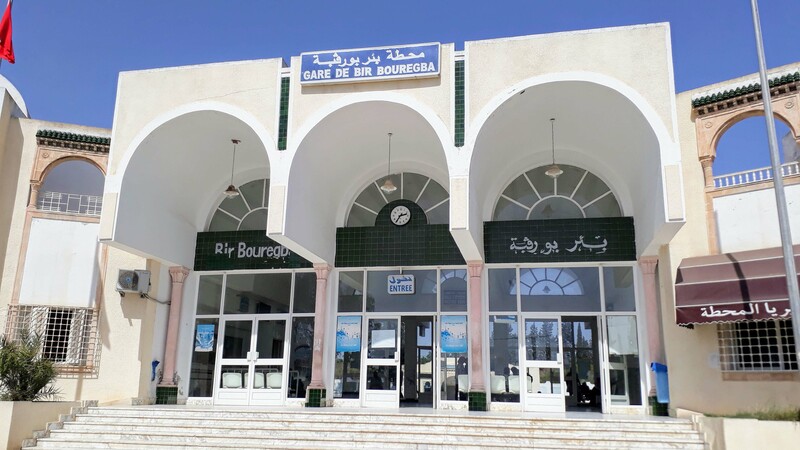 About 5 kilometers from Hammamet and 8 kilometers from Hammamet Yasmine is the train station of Bir Bou Rekba. 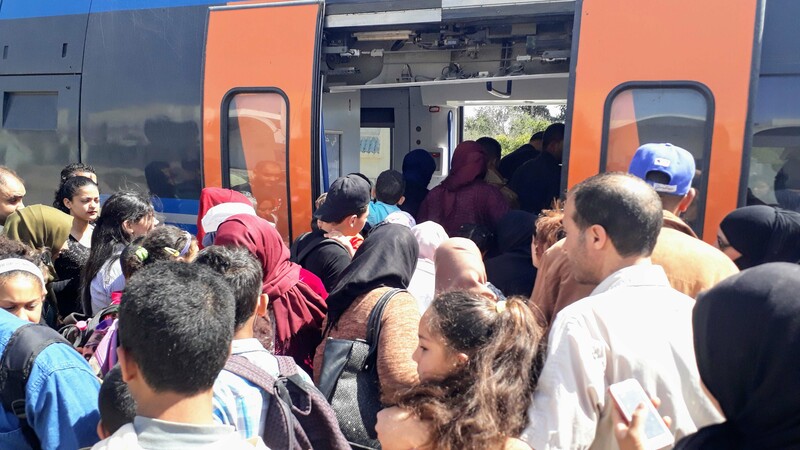 This is connected to the Ligne de la Côte: Twelve trains a day go north to Tunis and south to Sousse. For this they need about one hour each. 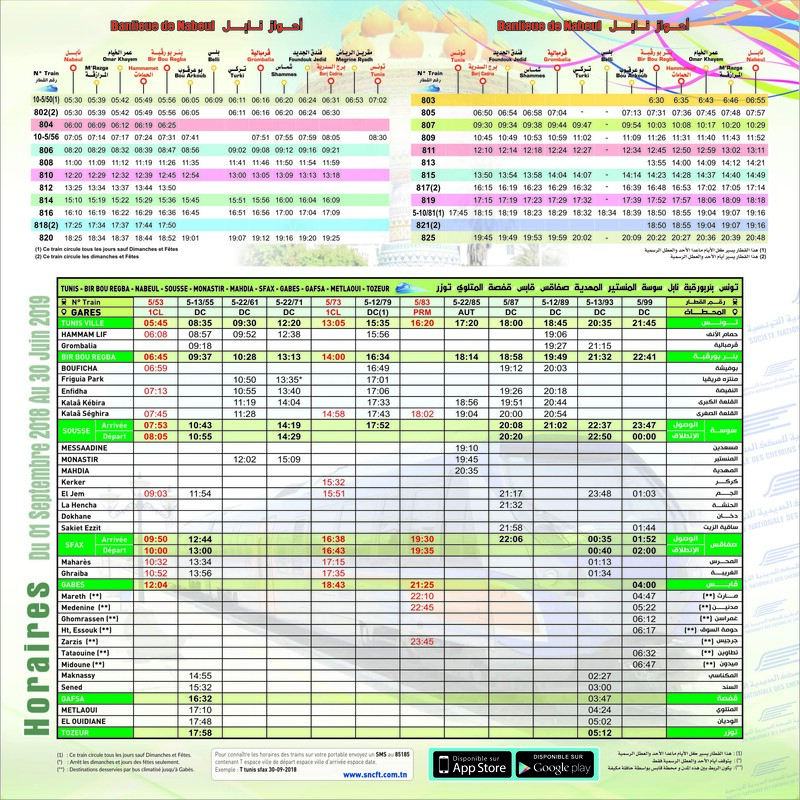 From Bir Bou Rekba you can take the metro Banlieue de Nabeul to Hammamet or a taxi to Yasmine Hammamet. The nearest airport is Enfidha-Hammamet Airport, which is 40 kilometers southwest.